A rustic autumn porch - on a log cabin home in Michigan - what could be nicer? Dawn, a blogger from Creative Cain Cabin, lives in a log cabin home in Michigan and has a country-comfy porch that we just love. She celebrates fall on her porch with bushels of apples, galvanized buckets of golden rod, hot apple cider in mason jars, bales of straw and a red buffalo checked tablecloth. 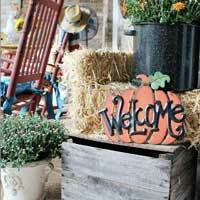 Autumn on Dawn's front porch is a true harvest party! 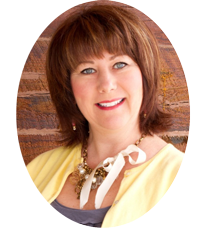 We had the pleasure of asking Dawn some questions about her blog, her porch and lifestyle. 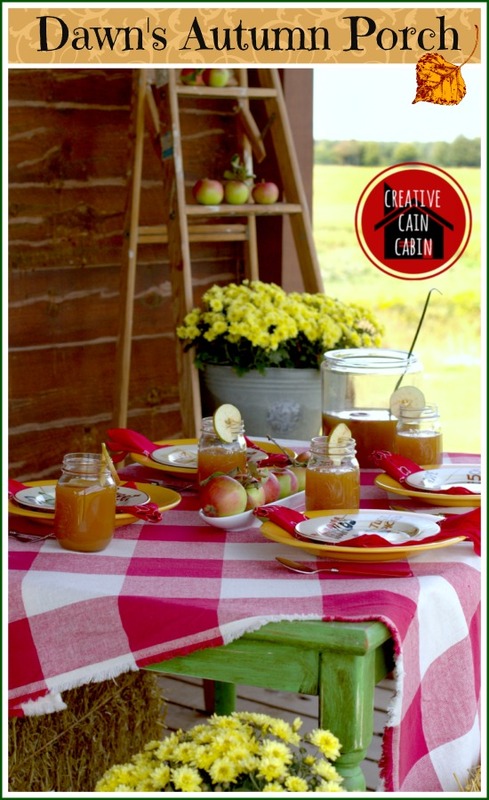 How did you decide upon the name of your blog, Creative Cain Cabin? Dawn: My last name is "Cain" and I live in a "Cabin" and I was looking for a third "C" to fit into the name and the first thought that came to me was "Creative" so "Creative Cain Cabin" was born. Now that I look back on it I think I would have went in a different direction, if I knew then what I know now! Dawn: The cabin is all about a lifestyle. It's how we live and grow while living in a log home. I like readers to see you don't have to live in a million dollar mansion to make your place look nice and reflect your personality. 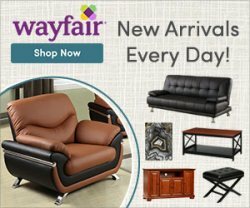 Most of my item are thrifted, from garage sales, or repurposed. I enjoy showing readers how to use what they have and give it a new look. 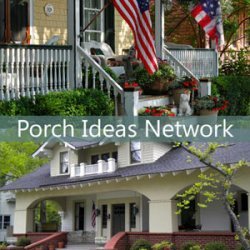 Tell me about your porch and how you and your family spend time on the porch? 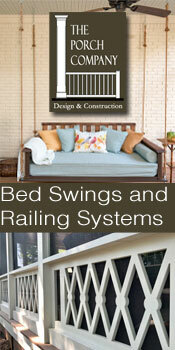 Dawn: Our porch is decorated like any other room in our home; there is seating and dining areas on our porch. We like to have meals out there and lay on the swing and watch the stars at night. 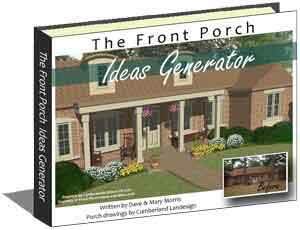 You can find me on the porch most any day with my ipad or a book just enjoying nature. Dawn: I say use what you have and use what is around you in the environment. Most days you can find wildflowers in bucket on my porch - free decorating. 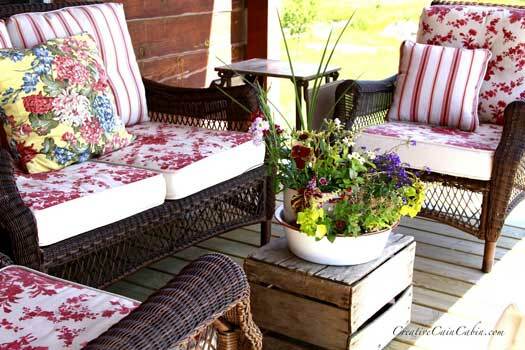 If your porch is covered you can use any leftover furniture from your home, just recover the cushions to give it a fresh look. 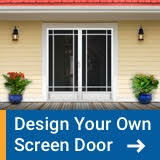 Shop thrift stores for great outdoor items. I tend to rearrange my furniture often on the porch as it gives it a new look and feel. 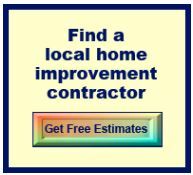 It doesn't have to cost a lot to get a great look. I change my porch several times a year and continue to use the same things just in new ways. 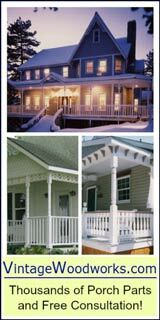 If you stop by my blog and click on the home tour button you can see my porch decorated several ways and it is always the same stuff on the same porch. 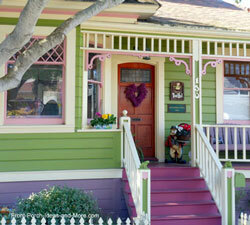 We featured Dawn's sweet pea porch as well. In fact, that picture of sweet peas on her porch is one of my personal favorites. You'll have to click over to see that one. It's a beauty! 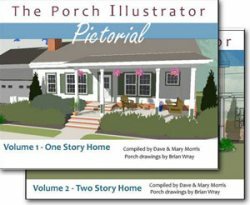 Our many thanks to Dawn from Creative Cain Cabin for telling us about her lifestyle blog and her thoughts about life on the porch. Dave and I love her log cabin lifestyle - so wholesome and refreshing. Any porch lover would enjoy spending time with Dawn on the porch swing. 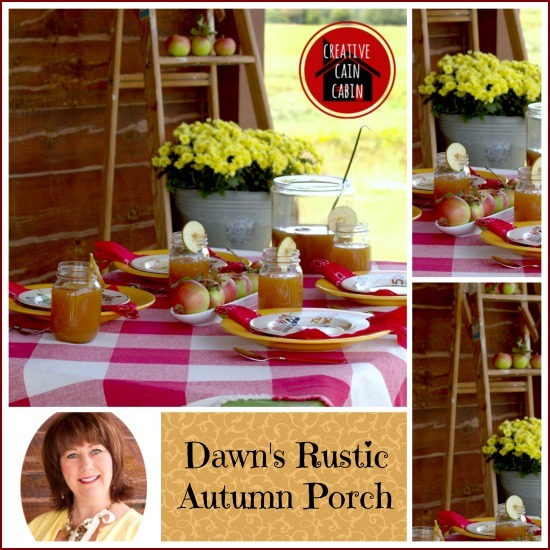 Enjoy more pictures and details of Dawn's rustic fall porch on her blog, Creative Cain Cabin. More Autumn Porches to Enjoy!